Join us at FM Kitchen for a laid back Friday evening. Happy Hour and a tasty menu plus great friends. This is one of the BCO mini-nights which is a smaller gathering and a great way to get to know new friends. What better way to wrap up the week and start the weekend than with good friends at a cool little spot with great food and a full bar! 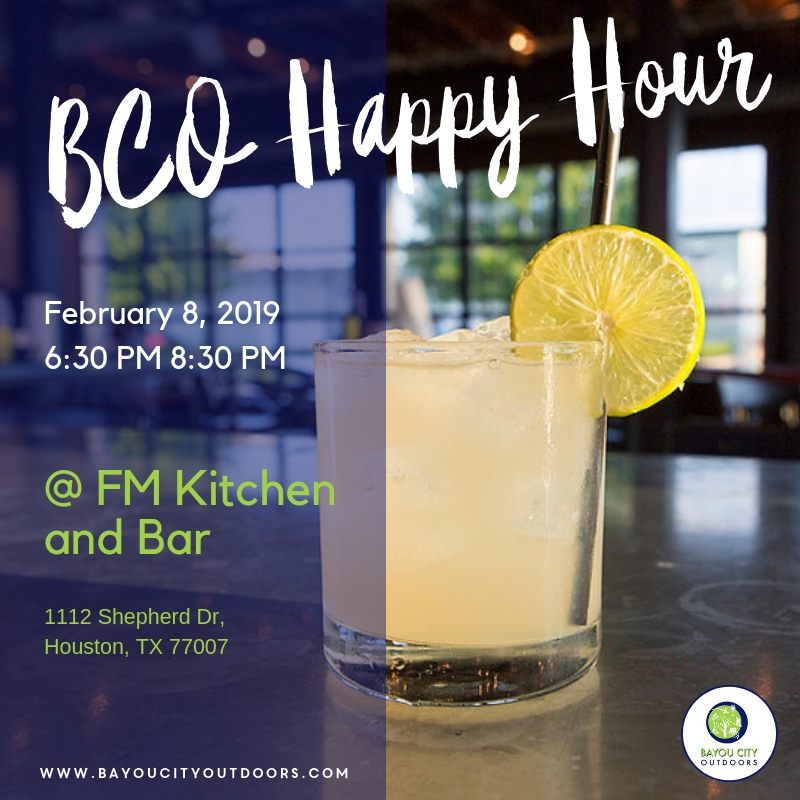 This BCO event is open to everyone! Bring your guests and come early, drop in or stay until close, but whatever you do – join us! Some parking in the lot and surrounding streets. Make it easy on yourself and grab an Uber or carpool with a friend. For additional information please call 713-524-3567 or e-mail to info@bayoucityoutdoors.com .